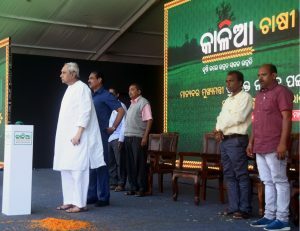 By Bizodisha Bureau, Bhubaneswar, February 4, 2019: Odisha governor Ganeshi Lal on Monday said that his government has completed electrification of 22 lakh more households in this fiscal, ramping up the count of electrified households in the state to 96 lakh. “Continuous endeavour of my government in energy sector has resulted in achieving 100 per cent electrification in rural as well as urban areas, fulfilling the motto of ‘Power for All’ through implementation of Biju Gram Jyoti, Biju Saharanchal Vidyutikaran Yojana and other schemes. This achievement was possible due to augmentation of generation, transmission and upgradation of distribution infrastructure through different programmes”. Odisha Power Transmission Corporation Ltd (OPTCL) with its network of 144 grid substations, 13757 circuit kilometres of HT lines and transmission capacity of 18,416 MVA has come out with one of the best performing utilities in the country. By adopting new technologies, OPTCL has been maintaining the system availability at 99.99 per cent for the past two years. “My government has introduced KALIA (Krushak Assistance for Livelihood and Income Augmentation) scheme to further accelerate agricultural prosperity and reduce poverty in the state. It covers 92 per cent of the cultivators, share croppers and landless agricultural labourers. Already, over 1.24 million small and marginal farmers and about 58,000 share croppers have been provided assistance at the rate of Rs 5000 each amounting to Rs 652 crore”, he said. More, the state government has offered three per cent interest subvention on loans to about 10,000 farmers in the current financial year under a new scheme ‘Interest Subvention on Long Term Credit Support for Livestock Farming’. Farmers have been availing crop loans not exceeding Rs 50,000 at one per cent interest and this has been reduced to zero per cent with effect from April 1, 2019. Besides this, farmers have been provided about 60,000 mobile phones to farmers across the state. Through Biju Swasthya Kalyan Yojana, the state has achieved the objective of near universal health care, assuring about seven million families with cashless assistance of Rs 500,000 per family per year with additional Rs 200,000 for the women members of the beneficiary families, Lal remarked.